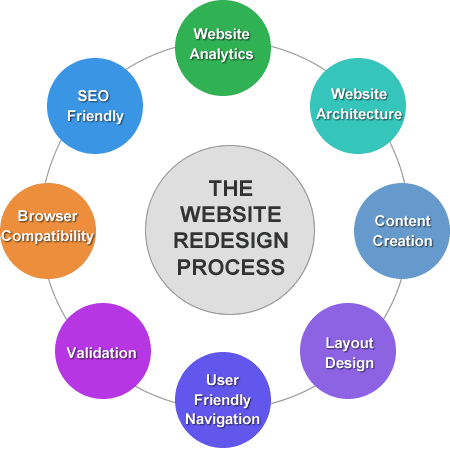 It is always good to redesign your website, as upgrading your website improves usability and also upgrades your brand. While redesigning your website there are a lot of things running in your mind. First one is, you don’t want to lose your existing traffic, secondly, you wanted a website which is better than your existing one because you want a change. This blog will definitely help you with this. 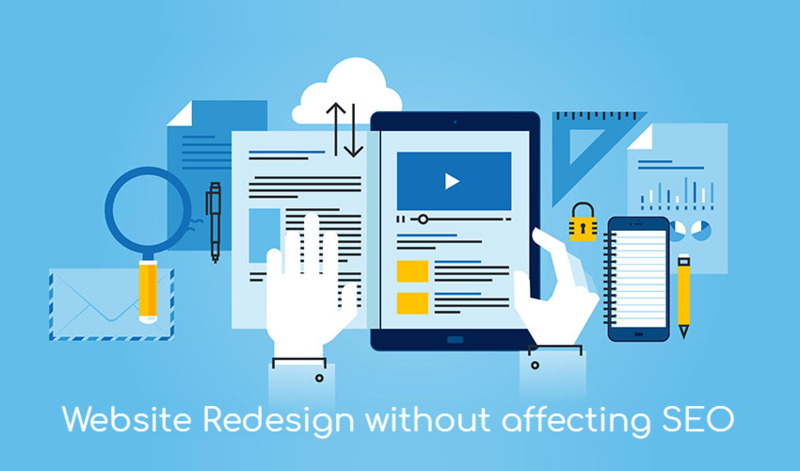 While redesigning your website, never redesign it on your existing website. As while redesigning, if due to any technical error your website stops then it may cause visitor issues and you may result in losing some of your website traffic. So to avoid the problem copy your website and set it up into a temporary URL. Then only start making changes to it. For this you can also take help from your hosting provider you will guide you or even do this set up for you. When you are done setting up your website to a new domain and before starting to redesign the website, it is a good idea to do heck up for your website. While checking you should look for broken links, features, CSS, etc. For this, you can also use any online tools. While redesigning a website it is very obvious to change the URL structure of your website. So it is also of great importance that you let Google and other search engines know about those changes. In case you fail to do so you will damage your website ranking and in result will lose your website traffic. So make a list of all the URLs of your existing website. The easiest way to do that is to take your sitemap and save it as a text file. Now the most important step is to do 301 redirects between old and new URLs. For example, if you have a “Know us” page on your old website with URL “www.yourwebsite.com/knowus.html”. If while redesigning your website, your URL is changed to “www.yourwebsite.com/about-us.html”. So you have to implement proper 301 redirects so that both URLs work and redesign does not affect your SEO. By doing this your old URL will be redirected to a new one. You can add redirects using the .htaccess file. Once everything is concluded, both structure and redirection, it is the ideal time for you to change to the new site. You can likewise make steady improvement in stages if your site is huge. Now run Google webmaster to guarantee there are no broken connections. In the event that any broken connections discovered, it is advised to be settled rapidly. While redesigning the website there is a lot of chance that your robot.txt file can get ruined. To check if it has, you can use “robot.txt” option under crawl. As your website now has a new and modified structure, submit the website XML sitemap. Once submitted, your new website will be crawled in the coming hours. After deploying the new website, it is very important to monitor the changes. There are many SEO tools available that enable you to keep track of these keywords. You should monitor your website for at least two to three months. Changing your website theme and URL will not create a negative impact. What is more likely to cause problems with rankings is a chance in the web page text. Dramatically changing the text is not recommended unless you are doing it for pages that don’t have a good ranking and you want to improve them. Are you thinking about your website redesign? Then you have come to the right place. iNFOTYKE is always there to help you in Redesigning your website and get you an upgraded look, add functionality, and make it work better for you.